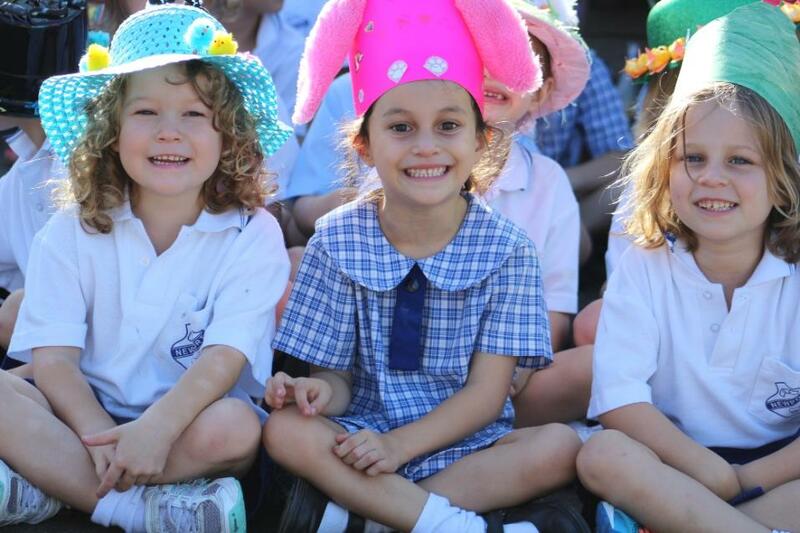 Newport Public School had their Easter Hat Parade on Thursday morning, March 29th, preceded by a breakfast BBQ, Hot Cross buns, great coffee from Zubi at Newport (for mums, dads and grandparents) an Easter Hamper raffle, great music from the school band and even a visit by the Easter Bunny! 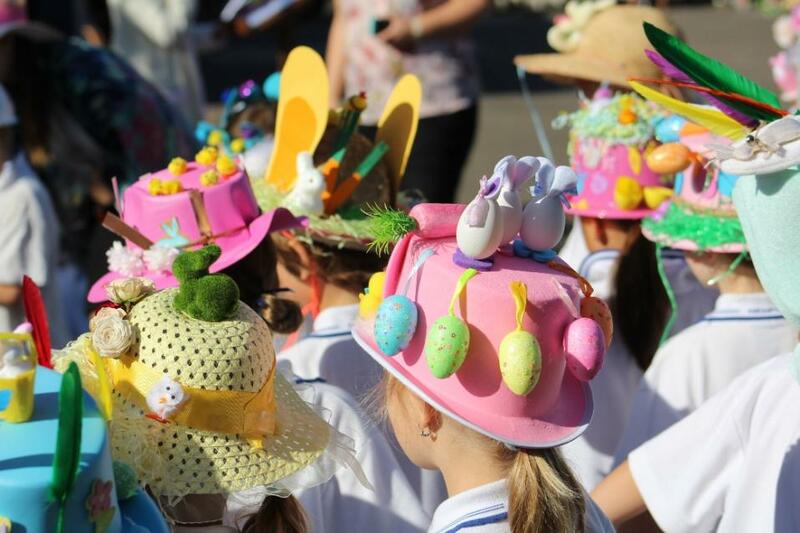 The Kindy to Year 2 Easter Parade was the highlight with so many wonderful and colourful Easter Hats we had to run a whole page of just some of them so you can see these brilliant creations. Newport Public School is very excited to announce their 130 YEAR ANNIVERSARY CELEBRATION will be held on Thursday 25th October 2018. The event will run during the day and through to the evening, featuring projects from each year group, memorabilia, former students, teachers and staff members and some very special guests to entertain everyone. If you or anyone of your family or friends is a former student or staff member of Newport Public School, please email the organising committee at newportps130@yahoo.com or via private message to this Facebook page so we can keep you updated. Let's see how well you remember your time at Newport Public School. As part of the 130 Year Anniversary Celebrations on 25th October 2018, we will be unearthing the time capsule. Let's see who is the first person to remember the location and the year it was buried..... wow! The phrase 'out of the mouth of babes' will take on extra meaning next Sunday, April 8th, when the Avalon Community Garden hosts their Zest for Life Festival as this was all the idea of 7 year old Aneira Ravenscroft, one of the keen gardeners who enjoys getting really involved in where her food comes from and sharing the good things that come from the earth. 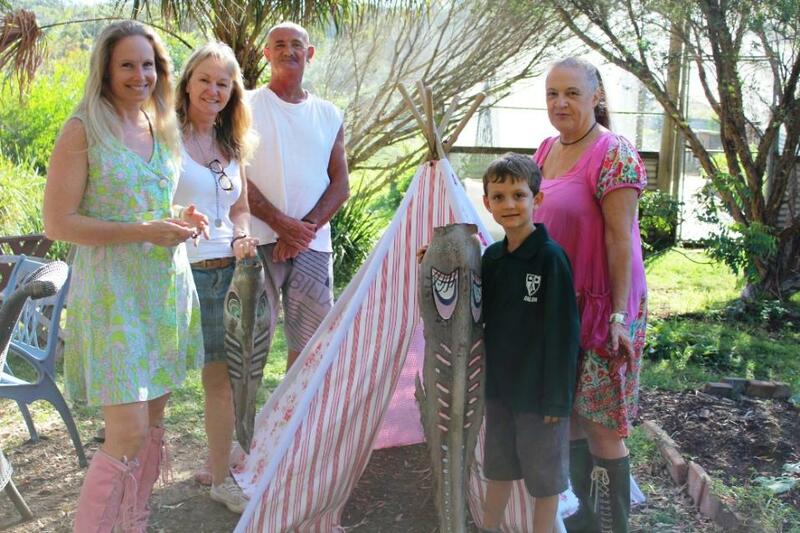 Aneira and friends will host some kids craft, alike the Frond Masks you see in the picture above, and a Healthy high tea in the Children's area of Avalon community Garden. Aspara Gus (aka Luke Escombe - The Veggie Plot) will also be on hand to provide some great entertainment for youngsters. The Vegetable Plot are an award-winning bunch of roots musicians who have sprung from the underground on a radical mission: to get kids to fall in love with vegetables. It's not all for the youngsters though - there's Making Compost From Food Scraps workshop with Tim Seaton - Coastal Environment Centre / ACG, The Importance of Soil talk by Peter Rutherford - Eco House and Garden, Kimbriki, while Make and retain good soil on steep sites using Hugelkulture method by Sam Gibbons will be of interest to many who have just that; steep sites! There's great food available, more informative talks and a traditional Smoking ceremony and Welcome to Country to open what will be a brilliant day. Among the hundreds of thousands who have entered the gates at the Sydney Royal Easter Show already in the past week is one who wasn’t meant to. As the dairy cattle were being “bumped in” to the cattle pavilion, marking the start of week two of The Show after the departure of the beef breeds, a tiny ‘stowaway’ was discovered on a vehicle which had just arrived from country Victoria. A kitten who the Easter Show vets estimate to be around four weeks old was tucked up in amongst hay bales on a cattle trailer which had travelled from Invergordon northeast of Shepparton in northern Victoria. “I called someone else over and just said “hey, look at this”, he said. The kitten was quickly checked over by RAS vets and then taken into care by the RAS’ Manager of Venue Operations, Dora Rosa. After a feed of formula the kitten, who Dora has given the name RESI (as in Royal Easter Show), was taken to her home on the conclusion of Day 7 of the Show. Dora says she will offer RESI to a family who will take good care of him. RESI was a non-paying guest amongst the more than 50,000 who visited the Show yesterday. Today it is estimated more than 115,000 (humans) will scan their way into the Show, many of them taking advantage of discounted tickets after 4pm for the evening program. Thousands of prechoolers across Australia are set for a science and maths skills boost as part of a new Turnbull Government program. Minister for Education and Training Simon Birmingham said a pilot of the $6 million Early Learning STEM Australia program launching this week would see 4,000 children across 100 preschools learn science, technology, engineering and mathematics skills through a series of interactive apps. “This program will be a launch pad for a life-long interest in STEM for thousands of preschoolers,” Minister Birmingham said. “It’s a game changer in STEM skills for our littlest learners. “We know engagement with STEM at an early age will be essential for children to develop the skills needed to navigate our rapidly-changing world and the jobs of the future. Minister Birmingham said throughout the ELSA pilot children would have the opportunity to engage in STEM practices both with the interactive apps on digital tablets and in the real world. “The ELSA program is an easy-to-use teaching resource that introduces our youngest learners to STEM in fun and engaging ways,” Minister Birmingham said. “It will complement the skills and experiences of teachers at preschool and of families at home. “For example, the first ELSA app – ‘Patterns and Relationships’ – introduces preschoolers to the foundational STEM concepts of sorting, ordering, patterning and representations. For further information about the ELSA pilot, including the list of 100 participating preschool services, visit: www.elsa.edu.au. Educators from the 100 preschool services selected to take part in the ELSA Pilot will have opportunities to attend free workshops and will be the first to use the ELSA apps. They'll also receive resources to incorporate STEM practices into their preschool program. STEM practices are the ideas, methods and values that underpin STEM, such as curiosity, team work and creativity. Exploring STEM practices helps children develop strong skills in many areas - like problem solving and communication - that are useful later in life. ELSA can help educators to explore STEM practices as part of their preschool program and provide the best learning outcomes for children. innovative ideas for children to explore, investigate and have meaningful experiences in the natural world. ELSA is free and operates on a bring your own device (BYOD) basis. Image courtesy ELSA. Early Learning STEM Australia (ELSA) is a play-based digital learning program for children in preschool to explore science, technology, engineering and mathematics (STEM). ELSA allows children to play, experiment and make sense of the world around them - which is part of science, and also part of being a child. ELSA's STEM practices encourage children to ask questions, make predictions, experiment, and reflect on what happened and why. The ELSA Pilot is a key early childhood initiative of the Australian Government. ELSA has been developed by the University of Canberra through funding provided by the Australian Government Department of Education and Training under the National Innovation and Science Agenda. It supports the "Inspiring all Australians in digital literacy and STEM" measure, which seeks to increase the participation of Australian children in STEM and improve their digital literacy. ELSA is led by Professor Tom Lowrie and built on community involvement. The pilot collaborates with early learning educators, preschool program providers and families. A huge range of boats will be on display over the course of the festival including Halvorsen crusiers, yachts and skiffs, classic speedboats, steam launches, tug boats, whalers and Navy workboats from all around Australia, as well as tall ship James Craig and Edwardian superstars in the stunning 1924 luxury ketch Hurrica V, featured in Baz Luhrmann’s film The Great Gatsby, and SY Ena, a magnificent steam yacht now in the museum’s collection, both originally built in Sydney. Visitors will also discover traditional maritime skills with line throwing, sculling and caulking demonstrations throughout the festival weekend. There’s also the spectacle of the ‘Quick and Dirty’ boat building competition, where the race is on to create makeshift boats and sail them on the harbour in record time. Lively entertainment throughout the weekend will include live music, a magician, a jumping castle and food trucks. Festival goers can also relax with drinks and music while enjoying the sun setting over Sydney’s iconic harbour at the museum’s waterside café Yots. Come and celebrate the beauty and diversity of Australia’s heritage vessels and meet their craftspeople at the Classic & Wooden Boat Festival. Enjoy free entertainment over the whole weekend including live music, street magic, maritime demonstrations, harbour cruises and kid's activities. There's markets, food trucks, an art exhibition, a boat building competition and much more. Join in the fun and discover a hand-crafted, hand-polished world where craftsmanship still reigns supreme. Get up close to more than 100 classic vessels including two screen stars: Hurrica V from Baz Lurhmann's The Great Gatsby, and the museum's own SY Ena, star of Miss Fisher's Murder Mysteries. Enjoy our showcase of colourful cossies through the ages, with a tongue-in-cheek trip through the museum's swimwear collection. Be amazed by levitating spinnakers, gold coins popping out of bubbles and a magic treasure chest when Cardistry, Australia's hottest young magic duo bring their street magic to the seaside every day of the festival. Ever wanted to climb out over the water on a tall ship but didn't want to get sea sick? Your chance is here! Climb the James Craig jib-boom and test your mettle. Bookings essential. Try your hand at caulking, line throwing and sculling, as you get your hands dirty and learn the ancient maritime arts. Step on board the towering tall ship James Craig and ring the ship's bell. Form a team of 4-6 friends to design, build and race a seaworthy craft... in only four hours. We supply the materials, you supply the brains and the brawn. Entry is free: click here for details. 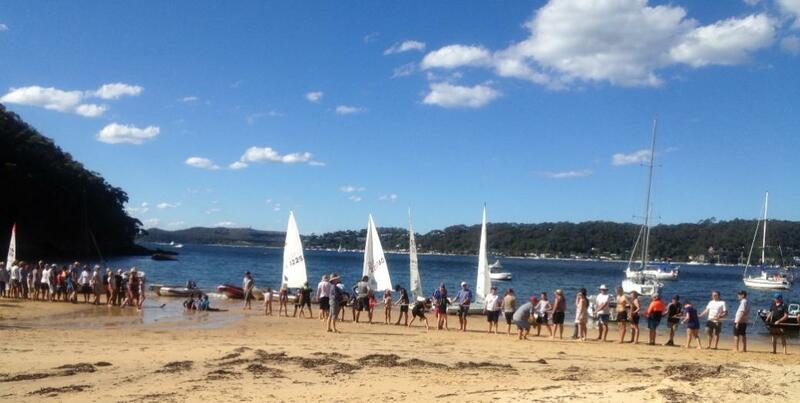 Join in the fun at the Kid's Boatshed where kids can build (and race) their own boats. There's also live music, magic shows, a jumping castle, food trucks and the relaxing waterside haven of Yots Cafe. See Soren Larsen, star of BBC's 'Shackleton's Antarctic Adventure' at Wharf 7, and book a Sydney Harbour cruise on Southern Swan. Choose between a Kid’s Pirate Cruise or an historical commentary cruise. Special festival rates apply. Northern Beaches Council is advising dog and cat owners to keep their pets away from several major reserves while fox baiting is being carried out. These reserves will be closed to dogs and cats until 29 April 2018. Warning signs will also be displayed in the areas to notify the public about the program. The fox baiting program is being conducted in conjunction with the National Parks and Wildlife Service and involves the use of “Foxoff® Econobait” poison baits, which are designed specifically for fox control. The poison baits contain 1080 (sodium monofluoroacetate). Minister for Environment and Energy Josh Frydenberg said the independent review of the Environment Protection and Biodiversity Conservation Act 1999 (EPBC Act) builds on a recommendation by the Productivity Commission’s 2017 report into the Regulation of Australian Agriculture. “It is important that we get the balance right between protecting our environment and allowing our agriculture sector to grow and prosper,” Minister Frydenberg said. “The Productivity Commission’s Report found it could be unduly onerous on a farmer to deal with the complexity of their requirements and actions requiring compliance with the Act. The red-tape burden costs fall disproportionately on the farmer. Minister for Agriculture and Water Resources David Littleproud said his job was to get government out of farmers’ lives. “Family businesses simply trying to manage their land are drowning in paperwork,” Minister Littleproud said. “We need to make life simple for them and let them produce the best food and fibre in the world. We don’t want sensible projects which benefit both environment and farmer to be stalled because of mountains of paperwork. We want to hear from farmers who have practical suggestions on these issues. Dr Craik has extensive experience in both the public and private sectors including in her current role as the Chair of the Australian Rural Leadership Foundation. As a former Executive Director of the National Farmers’ Federation and President of the National Competition Council, she is well qualified to undertake the review. The NSW Environment Protection Authority (EPA) welcomes the Land and Environment Court’s decision on Friday to convict and fine Ardent Leisure Ltd a total of $157,950 following the EPA’s prosecution of the company, after approximately 6,000L of diesel fuel escaped into Sydney Harbour from a fuel storage system at a Rushcutters Bay marina in May 2016. Ardent entered pleas of guilty to two charges brought by the EPA relating to the diesel spill. Ardent engaged a contractor to decommission a disused fuel tank at the marina. The contractors weren’t told that it was connected via underground pipework to an active tank. Around 6000L of diesel fuel escaped into Sydney Harbour when the active tank was used by a member of the public refuelling their boat resulting in diesel fuel escaping from pipework that had been cut by the contractors as part of the decommissioning works. Despite a number of recommendations having been made to Ardent by its own environmental consultants in 2012 and again in 2015, Ardent did not ensure that it maintained accurate diagrams of its fuel tanks and the associated fuel lines. “Rushcutters Bay is a busy part of Sydney Harbour, and strict environmental standards need to be adhered to ensure it remains healthy and safe for the community,” EPA Chief Environmental Regulator Mark Gifford said. Ardent was also ordered to pay the EPA’s investigation and legal costs, and publish details of the offence and conviction in the Sydney Morning Herald, Financial Review, Daily Telegraph, The Australian and two industry publications. The EPA prosecution of Ardent was based on a breach of s120 of the Protection of the Environment Operations Act 1997 (water pollution) and a breach of cl19 of the Protection of the Environment (Underground Petroleum System Storage) Regulation 2014 (inaccurate environment protection plan). EPA Regional Director Metropolitan Giselle Howard said a discharge of untreated sewage and stormwater occurred from an overflow structure at Tunks Park, Cammeray into Middle Harbour between 19 and 20 March 2017 after heavy rain. “The 19 March incident occurred when a valve in the sewage system failed to close properly. The second discharge on 20 March occurred due to a technical failure at the North Head Sewage Treatment Plant but could not be stopped due to the failed valve. “The EPA considers that the incidents constitute alleged breaches of the Protection of the Environment Operations Act 1997,” Ms Howard said. Ms Howard said Sydney Water took immediate actions to mitigate the overflows to the environment and has since implemented actions to prevent recurrence of the failures and circumstances leading to the incidents. The Enforceable Undertaking requires Sydney Water to contribute $200,000 to projects to enhance or restore the environment. Sydney Water will advise the local community once projects have been identified. Sydney Water has also agreed to pay the EPA’s legal and investigative costs. Ms Howard said an Enforceable Undertaking, is an alternative to prosecution where genuine contrition is acknowledged and responsibility is taken for the pollution incident. It is enforceable by the Land and Environment Court. “In this instance, the EPA considers it is the appropriate regulatory response,” Ms Howard said. Enforceable undertakings are one of a number of tools the EPA can use to achieve environmental compliance. For more information about the EPA’s regulatory tools, see the EPA Compliance Policy www.epa.nsw.gov.au/legislation/prosguid.htm. The NSW Department of Primary Industries (DPI) is calling on NSW anglers to help guide the future of the state’s recreational trout fishery through a series of workshops. The workshops, which will be held across NSW in Armidale, Bathurst and Jindabyne, are seeking community input on a range of issues affecting the recreational trout fishery to form the first NSW Trout Strategy. DPI Senior Fisheries Manager Cameron Westaway said the trout fishery in NSW provides a range of important social, economic and historic values and benefits for regional communities. “Like many trout fisheries around the world, NSW faces challenges such as environmental and climate change, pest species, access restrictions, habitat degradation and more,” Mr Westaway said. 17 May 2018, Rydges Horizons Snowy Mountains, Jindabyne (10 Kosciuszko Road, Jindabyne). Mr Westaway said each workshop will include a local perspective from accomplished fishers, from Reel Action’s Michael Guest in Armidale, The Aussie Fly Fisher’s Josh Hutchins in Bathurst and the The Fly Program’s Matt Tripet in Jindabyne. “Other presenters will include DPI fisheries researchers, conservation managers and fisheries managers. The workshops will include breakout and question sessions to allow the public to discuss ideas about the fishery going forward,” he said. Those attending workshops must register interest by Friday 27th April 2018. 1967 was the last recorded sighting of the Lesser Bilby. In fact, that last sighting was nothing more than the discovery of an old skull found in a nest of a Wedge-tailed Eagle —it’s thought that this tiny marsupial became extinct around 15 years earlier. First discovered in 1887, the Lesser Bilby was a plucky, tenacious little creature. While it was omnivorous, the Lesser Bilby is thought to have been highly carnivorous and even preyed on small mammals. It had a fearsome character and wouldn’t back down from a fight. Despite this, the Lesser Bilby couldn’t compete with introduced predators like the fox and cat and the competition it faced from the introduction of the rabbit. Fast forward to today and a similar fight is being fought by the Lesser Bilby’s bigger cousin: the Greater Bilby. In the wild, it’s a fight for survival. And every Easter, its bunnies vs. Bilbies: two burrowers with big feet and bigger ears fighting for the hearts and minds of Australians. The Greater Bilby is one of Australia’s iconic animals. But unlike the kangaroo or koala, you’d count yourself very lucky if you ever saw one in the wild. The Bilby once occupied vast areas across the Australian mainland but there’s been a significant decline over the last 200 years—and population numbers continue to decrease. Today the Greater Bilby is listed as extinct in New South Wales; wild populations only exist in small fragmented pockets of Queensland, Northern Territory Western Australia. “People think of bilbies as an animal that lives in the very remote, very arid areas of Australia but this wasn’t always the case — they used to occupy a wider range of grassland and woodland ecosystems as well,” says Andrew Elphinstone, conservation and recovery manager at Taronga Conservation Society Australia. So this Easter, give the bunny the bump and help save an Aussie icon. You can also become a Zoo Parent by adopting a Bilby, which will fund Taronga’s work including research and education programs focusing on the Bilby, as well as assisting with the conservation, breeding and preservation of wild animals and their habitat. Decades of love and dedication to the bee and honey sector have today seen Bruce White OAM honoured as the 2018 Royal Agricultural Society of NSW “Show Legend” at the Sydney Royal Easter Show. Mr White, from Castle Hill in Sydney spent 41 years providing services to the beekeeping industry as an Apiary Officer with the New South Wales Department of Primary Industries. He has worked with the Sydney Royal Easter Show (The Show) since 1966. The annual Show Legend award recognises outstanding service and commitment to The Show. It allows the Royal Agricultural Society of NSW (RAS) to publicly thank a member of the Show Family who has worked tirelessly towards the betterment of the Show and aims to continue the tradition by helping the Legend pass on their knowledge to the next generation of Show Family members. RAS President, Robert Ryan OAM, said Mr White’s passion and enthusiasm encapsulates the spirit of the Show. “As a result of Bruce’s work with the Apiculture Competition, it has grown into what we now know as the Sydney Royal National Honey Competition”, said Mr Ryan. “He is always happy to speak to exhibitors and showgoers and answer any questions about improving their beekeeping and goes above and beyond to help promote the sector. “He simply loves his industry and it shows,” Mr Ryan said. Bruce White is a very familiar face, even if it is covered by his white protective uniform and face mesh to anyone who walks past his “Bee Zeebo” activation in the Woolworths Fresh Food Dome at Sydney Showground each and every year. Since retiring from the NSW Department of Primary Industries, Mr White has continued to pass on his knowledge and passion for honey bees to Showgoers and school students. His passion has seen him donate countless hours to running other education programs including the Honey Tutorials and an education area during the RAS’ annual “Ag Vision”. Mr White was conducting a television interview when he was surprised by RAS President Robert Ryan OAM and RAS of NSW General Manager Agriculture and Royal Easter Show Murray Wilton today, both presenting him with his much-deserved award. “It certainly is a great honour and I had no idea it was happening. “I just do this because I am keen to help agriculture and particularly the RAS and the bee industry,” Mr White said. Mr White says Australia can trace its European Honey Bee origins to a settlers ship called the “Isabella” in 1822 when introduced crops weren’t be pollinated as was necessary by the native bees. The introduced species loved the Eucalyptus trees and an industry began to thrive. Mr White says his love of bees and honey began as a very small child when his parents allowed him to keep his first hive on the sill of his open bedroom window. Pictured in image from L to R: Mr Murray Wilton, RAS General Manager Agriculture and Royal Easter Show; Mr Bruce White OAM, 2018 Show Legend, Mr Robert Ryan OAM, President RAS of NSW. NSW Department of Primary Industries will develop a single online support desk to simplify access to apiary sites on public land. The support desk will streamline the process for beekeepers to access public land in the state - an important development for NSW government agencies and industry. NSW Department of Primary Industries Manager Intensive Livestock, Alex Russell, said DPI has recognised the need to develop and manage a support desk to provide a central point of liaison for the honey bee industry in its dealings with government. “This support desk will include an online platform to present information about available sites, including maps, a customer database and tools to improve communication between agencies and permit holders,” Mr Russell said. 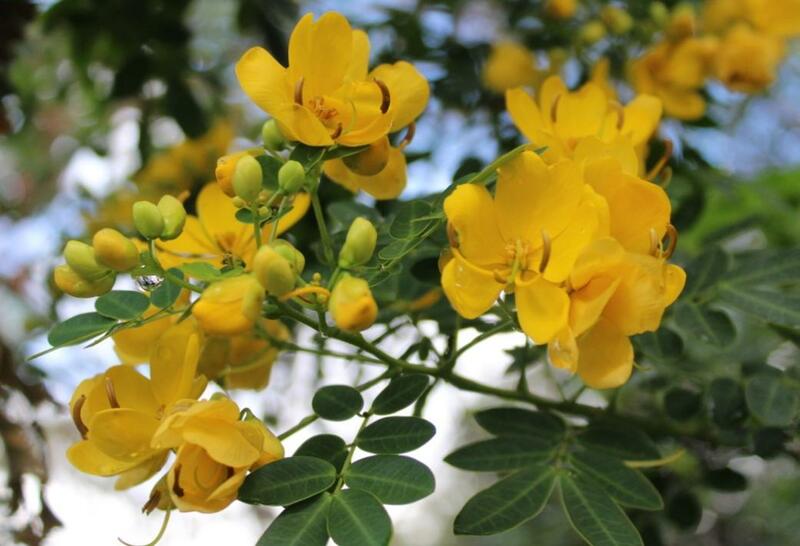 A new Program Coordinator, Apiculture Resource Access role has been created within the Department, based in Orange, to develop the support desk. “I am pleased to announce that Nick Geoghegan has accepted the role, which is expected to deliver significant improvements in the utilisation of available sites for apiculture with administrative efficiency benefits for both government and industry,” Mr Russell said. “In particular, Nick will coordinate the implementation of the new policy framework for apiary sites on public land and the establishment of the support desk for apiary site permit holders - beekeepers. Mr Geoghegan has recently visited apiary sites on the south coast to see first-hand some of the challenges and opportunities that affect beekeepers. He plans to also meet with other relevant stakeholders in the near future. Mr Geoghegan said forests and other public lands are a critical resource for the industry and he hoped to make it easier for beekeepers to find out about available sites and to better manage their permits. “I look forward to working with beekeepers and agencies to address issues affecting access to public land and to identify potential new sites,” he said. Nick has extensive project and program management experience. His qualifications include a Masters of Information Technology (University of Sydney) and a BSc (Management) from Dublin University. He previously held a number of senior roles in the telecommunications sector, with a strong focus on product development, marketing, stakeholder engagement and customer experience. L-R NSW DPI Honey Bee Industry Development Officer, Elizabeth Frost and NSW DPI Program Coordinator Apiculture Resource Access, Nick Geoghegan at Tocal College. Environment groups in NSW have welcomed NSW Labor’s commitment to no automatic rollover of Regional Forest Agreements (RFAs) “until there is a proper independent scientific assessment of their outcomes, and the assumptions of the original RFAs are revisited”, and call on Shadow Environment Minister, Tony Burke, to match his State colleagues’ position. In February, environment groups in NSW walked away from a sham RFA consultations process that saw the NSW and Federal Coalitions commit to new RFAs prior to any review or reassessment taking place. NPA CEO Alix Goodwin said: “The RFAs have failed socially, environmentally and economically. The good news is that in the 20 years since the RFAs were signed, other options now exist for the management of public native forests that can benefit the environment and regional communities. Dailan Pugh OAM, spokesperson for the North East Forest Alliance, said: “Polling in northern NSW has shown that 90% of people want public native forests protected for wildlife, water, carbon storage and recreation. Heather Kenway, from the South East Region Conservation Alliance said: “The industry in southern NSW is facing a sharp decline in yields, meaning more forest has to be logged to maintain wood supply. It is running out of large sawlogs. Susie Russell, spokesperson for the North Coast Environment Council said: “On Monday we saw millers in Victoria say that they either need access to national parks and water catchments for timber or an exit package. “The lack of resource is the same in northern NSW, our catchments are already being damaged by logging and industry is seeking access to national parks here too. The Andrews Labor Government will order 15GL of water for the 2018/19 financial year from the Desalination Plant to boost storages and protect against drought. This is the second year that the Labor Government has ordered water as part of a three-year trial of 15 GL minimum orders to deliver water security, better plant and pipeline management and steadier prices for Victorians. The order is based on scientific modelling and advice from Melbourne Water and Melbourne’s other water corporations about rainfall, inflows into catchments, population growth and climate change. Melbourne households will not face additional charges on their water bills for this year or last year’s 15 GL order, or the 50GL order made for 2016-17. These orders will instead be funded from the sale of surplus Renewable Energy Certificates. Rainfall in February was 69 per cent below average with only 18 mm falling around the catchments – this led to reduced streamflow into water storages, down 46 per cent on February last year. The Bureau of Meteorology’s latest three-month seasonal climate outlook also predicts above average autumn temperatures for Melbourne. Without the 61 billion litres already delivered by Victoria’s desalination plant over the past two years, Melbourne’s storages would be 3.4 per cent lower today – dropping below 60 per cent. Victoria’s desalination plant delivers water security for Melbourne and surrounding regions through the water grid and is managed to ensure storages do not reach dangerously low levels. The plant is a key part of the grid, helping to build resilience and avoid the social and economic costs of water restrictions on households, businesses and farmers. The water crisis in Cape Town in South Africa reaffirms the value of planning ahead to ensure water storage levels don’t reach emergency levels. The Labor Government continues to drive water efficiency, with Target 155 campaign supporting households to do their bit to reduce water use and help reduce bills. Commercial net fishing in Corio Bay will officially come to an end tomorrow delivering on the Andrews Labor Government’s commitment to cease commercial net fishing throughout Port Phillip Bay by 2022. It will mean more fish like snapper, King George whiting, flathead and calamari will be available for families to catch themselves, with flow-on economic benefits to regional tourism businesses. In 2016, 33 of 43 licence holders left Port Phillip Bay’s commercial net fishery, accepting compensation packages funded through the Labor Government’s Target One Million initiative. A further licence holder is currently in the process of exiting the fishery. These 33 licence holders caught 87 per cent of the commercial catch of fish targeted by recreational fishers. Their departure delivered the expected benefits for recreational fishers well ahead of the original eight year time frame. The remaining nine licence holders may continue to fish using existing methods, including nets, under a strict catch limit. Of those nine, eight elected to stay in the non-net fishery after 2022 using mainly longlines, fishing lines and squid jigs. The good news for recreational anglers continues with recent research by the Victorian Fisheries Authority confirming another excellent year of juvenile King George whiting settlement in the bay, which should make for terrific fishing from 2019 to 2021 when they grow to a catchable size. “Our bay fishery is going from strength to strength and removing commercial net fishing will only hasten its development as a mecca for saltwater anglers.” Victorian Minister for Agriculture, The Hon. Jaala Pulford, said. “This is great for local recreational fishers – the fishermen I have spoken to tell me there’s been a great improvement in fishing with flathead, calamari and whiting being caught regularly.” stated Member for Bellarine, Lisa Neville. Following the release of the Final Report of the NT Fracking Inquiry, Lock the Gate is calling on the NT Government to extend the moratorium on exploration fracking until at least such a time as all risks assessments and other studies have been completed and can be considered, or to take the next step and ban fracking permanently. “The NT Fracking Inquiry has shown that there are significant risks that come with the onshore gas fracking industry and a sizable amount of work required before any exploration fracking could be considered,” said Naomi Hogan of the Lock the Gate Alliance. “The report has also highlights strong community opposition held by the vast majority of Territorians participating in the inquiry, and almost universal concern and opposition to fracking from Aboriginal people from regional NT communities. “This report’s 135 recommendations and the serious information gaps identified, coupled with the increasing evidence of harm from fracking around the world, should be a wake up call to the NT Government that fracking is simply not worth the risk. “The NT Government needs to extend the moratorium on exploration and production until all risks assessments and other studies have been completed, or take the next step and ban fracking permanently. “First hand experience shared by the boom and bust onshore gas towns in QLD demonstrate communities were left worse off by the gas companies in the region. “A new collection of international research into fracking released this month by Nobel Prize winning scientists shows that fracking increases the risks of cancer, birth defects and asthma. The US EPA shows fracking has contaminated drinking water. “Many countries of the world have banned fracking in the interest of protecting their water and their existing industries. Tropical forests have been called the lungs of the planet. They soak up vast quantities of carbon dioxide, hold the world's greatest diversity of plants and animals, and employ millions of people. And these hot ecosystems -- often a patchwork of trees and grasslands -- are being deeply altered by logging and other land use change. Now, a team of scientists have made a fundamental discovery about how fires on the edges of these forests control their shape and stability. Their study implies that when patches of tropical forest lose their natural shape it could contribute to the sudden, even catastrophic, transformation of that land from trees to grass. The new knowledge could help protect tropical forests -- and allow land managers to build new tools to predict the stability of both individual forest patches and larger regional-scale forests. The study was published March 26 in the journal Ecology Letters. Using high-resolution satellite data from protected forests in the savanna region of the Brazilian Cerrado, the scientists found that the shape of these natural forests follow a predictable mathematical relationship between a forest's perimeter and its area -- regardless of its climate region or its size. They call this a "3/4 power law" and it roughly means the forests all tend toward shapes that are neither skinny like a line, nor round and smooth like a circle. "If a forest could grow easily in all directions, we'd expect a circle," says Laurent Hébert-Dufresne, a computer scientist at the University of Vermont who is the lead author on the new study, "but what we actually see is more dendritic, a bit like an octopus or deformed circle." The team of six scientists -- that included modelers, ecologists and physicists from UVM, the Santa Fe Institute, Stanford, Boston University, Princeton, and the University of Washington -- show that the 3/4 law holds true for tiny forest fragments not much bigger than a basketball court up to large forest patches covering dozens of square miles. The scientists combined their understanding of real-world data with the results of a new computer model to explain why this happens: fires, that burn easily in the grasslands surrounding forests -- and singe the forests' wet edges -- are in constant battle with the forests' expansive growth out into grasslands. This interplay at the edge between grass and forest, the scientists discovered, creates forest patches that converge on a steady-state shape. The results of the scientists' model matched the observed results from real forests in Brazil. And an experiment the scientists ran on their model shows that the fate of forest patches over time -- whether they expand or contract -- is determined by their initial shape. Those with compact shapes of all sizes, over time, converge on the more octopus-like 3/4-power-scaling relationship*, while those with skinny shapes and larger perimeter-to-area ratios collapsed, disappearing into grasslands or fragmenting into very small patches. Which means that this relationship between a forest's perimeter and its area may help predict the stability of individual forest patches. The scientists are optimistic that the study can lead to practical tools that show how far a managed forest patch deviates from this natural geometry will help to determine its stability over time. And the new research presents insights at a larger, regional scale into the possible fate of Brazil's forests. "Stepping back and considering the macro scale -- not looking at the shape of every patch, but, instead, at the state of the entire system -- the model suggests that the collapse from forest to grassland can be dramatic," says Andrew Berdahl, a researcher at the Santa Fe Institute and the senior author on the study. "These local, small-scale effects -- perimeter growth and edge burning -- can lead to a critical transition across a whole forest region between a forest-dominated-state and a grass-dominated-state." And once large areas of forest switch to grass it can be difficult to recover the forests. "It is like stepping off a cliff," says Berdahl. "You can't simply step back up." Ecologists have historically looked at the elements within a forest to understand its condition -- often focusing on its plants and animals -- but there has been little exploration of the geometry of forests and how this might matter. The new study shows a powerful role for fire driving the shape of Brazil's tropical forests, "and we'd now like to see if this pattern holds true in other parts of the world," says UVM's Hébert-Dufresne, an assistant professor in the Department of Computer Science and part of UVM's Complex Systems Center. "Say in Africa we find that elephants pushing over trees changes the equation, or dryness in Australia -- that would be very interesting." And he'd like to expand the research to see whether the relationship observed in the new model -- derived from wild forests -- holds true in logged and other managed forests in Brazil. "Our fundamental point though is that a forest's shape is very important," he says, "and that its shape is directly related to its stability." Leading the worldwide effort to get a better handle on methane emissions from animals, an international consortium of researchers devised more accurate models to estimate the amount of the potent greenhouse gas produced by dairy cattle. These more accurate models can be used to develop region-specific enteric -- intestinal -- methane inventories, explained lead researcher Alex Hristov, professor of dairy nutrition, Penn State College of Agricultural Sciences. He pointed out that the large scope of the project resulted in previously unreachable conclusions. The team that conducted the study -- part of the Feeding and Nutrition Network of the Livestock Research Group within the Global Research Alliance for Agricultural Greenhouse Gases -- is currently developing similar databases for predicting enteric methane emissions from beef cattle, sheep and goats. "We started with dairy cattle because more research data is available for dairy animals," Hristov said. The core project, GLOBAL NETWORK, led by Penn State, was developed by a consortium of eight countries -- U.S., U.K., Netherlands, France, Spain, Ireland, Switzerland and Finland -- and was funded by national governments mostly via the Joint Programming Initiative on Agriculture, Food Security and Climate Change. The U.S. Department of Agriculture funded the U.S. researchers. Nearly half of the NSW athletes will be making their Commonwealth Games debut, with nine representing Australia in international competition for the first time. Ninety of the athletes competing are supported by the NSW Institute of Sport (NSWIS). The NSWIS athletes will compete in athletics, swimming, hockey, shooting, diving, cycling and triathlon. NSW Minister for Sport Stuart Ayres wished the NSW athletes the best of luck. “The number of athletes from NSW not only demonstrates the talent we have in our state but also the world-class facilities and support that we offer to enable them to compete against the world’s best,” Mr Ayres said. The Commonwealth Games will be held on the Gold Coast from 4 April to 15 April 2018. The NSW Government is investing $275,000 into a Q fever education campaign and a further $200,000 on research into an improved vaccine for the bacterial infection. Health Minister Brad Hazzard, joined by Bronnie Taylor, Parliamentary Secretary to the Deputy Premier and Southern NSW, kicked off the Q Fever campaign at the Sydney Royal Easter Show urging farmers, vets and rural workers to be vaccinated. Dr Jeremy McAnulty, Director of Health Protection, NSW Health, said the research funding will assist the Australian Rickettsial Reference Laboratory, working with the Elizabeth Macarthur Agricultural Institute at Camden, to develop an improved vaccine. “Last year, more than 200 people contracted Q fever in NSW, mostly males aged between 40 and 70, and almost half ended up in hospital,” Dr McAnulty said. APRIL will mark the start of a significant program of military commemorations in Australia and overseas, with 2018 culminating in the 100th anniversary of the end of the First World War. Armistice Day, 11 November 2018, will mark the end of the most important commemorative period in Australia’s history - the Anzac Centenary spanning 2014-2018. Minister for Veterans’ Affairs Darren Chester encourages all Australians to attend the domestic and overseas commemorations throughout 2018 to recognise the service and sacrifice of the men and women who have fought to defend our country in all wars and peacekeeping operations. “It is always a moving experience to attend a commemorative service in Australia and a truly memorable experience attending a service overseas where Australians actually fought,” Mr Chester said. “As the last year of the Anzac Centenary, 2018 is an important year for Australians to commemorate those who have served our country and to learn about Australia’s military history so that it is remembered for generations to come. In Australia, commemorations will be held for the 75th anniversary of the Battle of the Atlantic, the 50th anniversary of the Battles of Coral and Balmoral, the 65th anniversary of the Korean War Armistice, the 75th anniversary of Australian work on Hell Fire Pass and completion of the Thai Burma Railway and the Centenary of the First World War Armistice. Overseas, Australia will commemorate the Centenary of the Battle of Villers-Bretonneux, the Centenary of the Battle of Hamel and the Centenary of the First World War Armistice. The Australian Government will support Anzac Day Services in France, Turkey, Belgium, Papua New Guinea, Thailand, Vietnam and Malaysia in 2018. On 25 April 2018, the commemoration of the Centenary of the Battle of Villers-Bretonneux will be recognised in a Dawn Service at the Australian National Memorial situated just north of the village of Villers-Bretonneux, France. The anniversary marks the day 100 years ago when the Australian 13th and 15th brigades successfully retook the village from German forces in a surprise night attack. A commemoration to mark the Centenary of the Battle of Hamel will be held at the Australian Corps Memorial, Le Hamel, France on 4 July 2018. The 93 minute long battle on 4 July 1918 was a success due to the planning and direction provided by Lieutenant General John Monash. In 2018 Australia will also mark other days of national significance including Kapyong Day (Korean War), Battle of Coral Sea Day, Victory in Europe Day, Battle of Lone Pine, Victory in the Pacific Day, Vietnam Veterans Day, the Battle for Australia Day, Merchant Navy Day and National Peacekeepers and Peacemaker Day. Registration to attend overseas commemorations is now open and passes are provided at no cost. Details on how to register are available on DVA’s website at www.dva.gov.au. Passes are not required to attend domestic commemorations. A list of key domestic and international commemorations for 2018 is set out below. The Turnbull Government will enable the Royal Flying Doctor Service to extend and expand essential health services for Australians in rural and remote areas. This will help ensure these essential services are available where and when people need them. Australians living in rural and remote places will get better access to dental care services, emergency air medical services and for the first time the Royal Flying Doctor Service will establish a Mental Health Outreach Clinic. $84 million in new funding will put more psychologists and mental health nurses on the ground in areas where there are currently few or no services. The Royal Flying Doctor Service is one of the largest and most comprehensive aeromedical organisations in the world and this year celebrates its 90th birthday. That’s 90 years of providing care to Australians living in some of the nation’s most remote areas, often in the most challenging circumstances. Ninety years of changing lives. Ninety years of saving lives. While ambulatory, dental and mental health services are provided across metropolitan Australia, many in rural and remote areas rely on the unique and essential access of the Royal Flying Doctor Service. The Turnbull Government’s four-year $327 million commitment ensures these services are continued or extended to areas where Commonwealth-funded activity currently doesn’t reach or is limited. 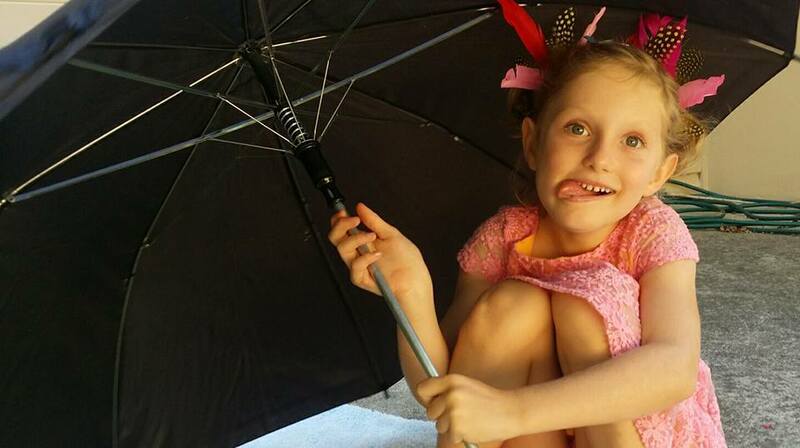 Funding for dental outreach services in areas of most need will be extended beyond 2019. A new Mental Health Outreach Clinic program will be in operation by 1 January 2019. The Government is also increasing its contribution to stand-by arrangements for Royal Flying Doctor Service bases to ensure access to ambulance services. Six Royal Flying Doctor Service operational sections will directly benefit from this funding – South East Section (NSW), Central Operations (SA and south of Tennant Creek), Western Operations (WA), Queensland Operations (QLD), Royal Flying Doctor Service Victorian Section (VIC), and Royal Flying Doctor Service of Tasmania (TAS). I’m pleased to announce the inaugural winners of the Prime Minister’s Veterans’ Employment Awards. This event celebrates the enormous contribution made by Australian veterans and the businesses which benefit from their experience, skills, and leadership. The awards showcase businesses across Australia which employ or support veterans of the Australian Defence Force (ADF), while highlighting the significant contributions being made by veterans in the civilian workplace. Too often we look at our ex-servicemen and women and see them only as a uniform. But we must also see them as executives and engineers, managers, scientists, miners, or any number of other professions. Army Veteran Glen Ferrarotto has been awarded the top honour of Outstanding Contribution by an Individual to Veterans’ Employment. Mr Ferrarotto founded Ironside Recruitment, an organisation specifically dedicated to placing ex-service personnel into employment outside the Australian Defence Force. Glen is assisting veterans across the country to apply their valuable military skills and experience in the workforce, and he should be commended for his contribution to the lives of men and women who have served our country in uniform. The award for Outstanding Contribution by an Organisation to Veterans' Employment was won by WithYouWithMe, a veteran-owned company. WithYouWithMe assists veterans to move from the ADF to a new career. WithYouWithMe has an impressive network of veteran employers and has developed innovative training programs which give many veterans rewarding careers. I join the Minister for Veterans’ Affairs, Darren Chester in congratulating the winners, and together we urge all Australian businesses to get on board and employ a veteran. “Leaving the defence force is a significant change for our veterans, which is why it is vital we ensure ex-service men and women have the support to find meaningful careers when they return to civilian life,” Mr Chester said. The Prime Minister’s Veterans’ Employment Awards are just one part of a larger program to raise awareness of the enormous value and unique experience our veterans have and the significant contribution they can make in civilian employment. The Prime Minister’s Veterans’ Employment Awards Principal Sponsors are Australia Post and Westpac Group. The Turnbull Government has appointed a new Chair and five new members to a panel responsible for advice on how to maintain the quality and standards of Australia’s higher education system. Minister for Education and Training Simon Birmingham congratulated the Panel on their appointments and re-appointments and said Professor Ian O’Connor AC, Vice Chancellor of Griffith University, would take on the role of Chair. Professor O’Connor will be joined by new members Deputy Chair Professor Kerri-Lee Krause, Dr Don Owers AM, Adrienne Nieuwenhuis, Sadie Heckenberg and Professor Kent Anderson as well as re-appointed members the Hon Phil Honeywood and Dr Krystal Evans. “I look forward to working with the Panel to strengthen Australia’s world-leading higher education system,” Minister Birmingham said. Identify other deregulatory opportunities in higher education. “The Panel members’ experience and expertise will continue to help develop and guide Australian higher education policies and practices,” Minister Birmingham said. “I would like to thank the outgoing chair, Professor Peter Shergold AC, who will complete his term today. Over the last three years he has made an outstanding contribution chairing the Higher Education Standards Panel, and prior to that as Chair of the TEQSA Advisory Council. “I would also like to thank the outgoing Panel members, Professor Greg Craven AO, Professor Alan Robson AO, and Ms Karen Thomas for their significant contributions. “Under Professor Shergold’s guidance, the Panel undertook important work to improve student admissions transparency, oversee implementation of the revised Higher Education Standards Framework, reduce the burden of professional accreditation requirements, review the impact of the TEQSA Act on the higher education sector, and examine threats to academic integrity, just to mention a few. Professor O’Connor will take over as Chair of the Panel following the first meeting of 2018. The Panel members are appointed for three year terms. Brett Whiteley's house at Lavender Bay has been recognised on the NSW State Heritage Register, Heritage Minister Gabrielle Upton announced. 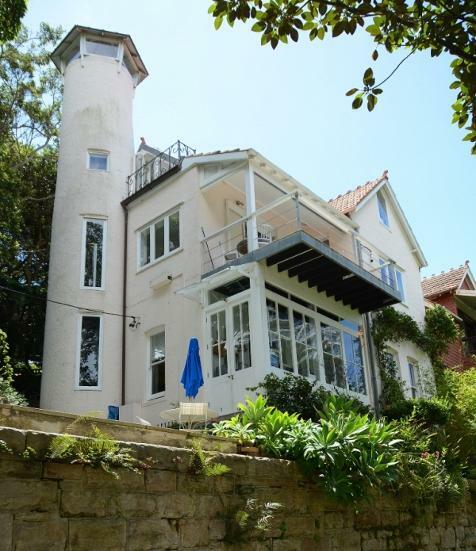 Ms Upton said the iconic home, its setting and views are of state heritage significance for their historic association with internationally acclaimed Australian artist Brett Whiteley AO. "As well as being his family home and studio, the view from his former home provided Brett Whiteley with the inspiration for much of his substantial body of award-winning and influential artworks," Ms Upton said. "Lavender Bay and its environment, the harbor and its icons are all significant recurring themes in many of Brett Whiteley's famous Australian artworks." Awards throughout Mr Whiteley's lifetime included two Archibald Prizes, three Wynne Prizes, and two Sir John Sulman Prizes. His trifecta of awards in 1978 continues to be unique in Australian art history and some of these award-winning and much loved works were painted at the Walker Street home. The heritage listing includes not just the house and studio, but also the parklands adjacent, Wendy Whiteley's secret garden, a section of the Lavender Bay foreshore, the Lavender Bay Jetty and the waters of Lavender Bay. "This place is an important part of our State and nation's artistic and cultural history and it has now been officially recognised and protected," Ms Upton said. Following the announcements made yesterday in Johannesburg, the Cricket Australia Board has met again today to consider the report of the investigation into the incident in Cape Town. The key finding from the investigation was that prior knowledge of the incident was confined to three players, Steve Smith, David Warner and Cameron Bancroft. (d) did bring the game of cricket into disrepute. The range of sanctions available to Cricket Australia under Article 2.3.5 are extensive. The CA Board determined sanctions that would be appropriate in each player’s case, following their review of the report. The Board has considered the recommendations and determined that the following sanctions will be offered to each player in accordance with the CA Code of Conduct process. Steve Smith and Cameron Bancroft will not be considered for team leadership positions until a minimum of 12 months after the conclusion of their respective suspensions from international and domestic cricket. Any consideration of future leadership would be conditional on acceptance by fans and the public, form and authority among the playing group. David Warner will not be considered for team leadership positions in the future. “As I indicated yesterday, the CA Board understands and shares the anger of fans and the broader Australian community about these events. “As the Chairman has noted, the sanctions we have announced are significant for the individuals involved. That is why the process has had to be thorough to ensure that all relevant issues have been examined. “I am satisfied that the sanctions in this case properly reflect a balance between the need to protect the integrity and reputation of the game and the need to maintain the possibility of redemption for the individuals involved, all of whom have learned difficult lessons through these events. “As indicated, Cricket Australia will provide more details of an independent review into the conduct and culture of our Australian men’s team in due course.” Sutherland concluded. The player may appeal the outcome of that hearing, and if so there is a hearing before an Appeals Commissioner (who is selected from the remaining CA Commissioners). The Cricket Australia Board has received preliminary findings of the investigation into last weekend’s events in Cape Town involving the Australian Men’s Cricket Team. Following this, Cricket Australia CEO James Sutherland has officially reported Steve Smith, David Warner and Cameron Bancroft for breaching article 2.3.5 of Cricket Australia’s Code of Conduct. All three players reported will depart South Africa tomorrow. The replacement players will fly to Johannesburg over the next 24 hours to join the squad for the Fourth Test against South Africa. The three replacement players are Matthew Renshaw, Glenn Maxwell and Joe Burns. The Cricket Australia Board has endorsed Tim Paine as Captain of the Australian Men’s Test Team. “We understand and share the anger of fans and the broader Australian community about the events that unfolded in Cape Town on Saturday. “This issue goes beyond the technical nature of the offences and various codes of conduct. It is about the integrity and reputation of Australian Cricket and Australian sport. “That depends as much on the way the players conduct themselves, as it does about winning or losing. “It is about how we play the game,” Peever concluded. “In view of the broader reputational and integrity issues involved, the sanctions that will be contemplated are significant. The process must therefore be thorough to ensure that all relevant issues have been examined. “I understand the appetite for urgency given the reputation of Australia as a sporting nation has been damaged in the eyes of many. However, urgency must be balanced with due process given the serious implications for all involved. “In addition to sanctions for individuals, Cricket Australia will initiate an independent review into the conduct and culture of our Australian men’s teams. “We will have more to say about this review in the coming days, but it will be conducted by an expert panel who will report to the Cricket Australia Board,” Sutherland concluded. Mr Sutherland also indicated strong support for ICC Chief Executive Officer David Richardson’s comments on Sunday that the game needs to have a hard look at itself, to improve standards of behaviour across the board. Today I introduced legislation into Parliament to deliver a wide ranging package of reforms to make private health insurance simpler and more affordable. We know that every dollar matters to Australian families and these reforms will get better value for families and make policies easier to understand. Already, our package of real reforms has delivered the lowest annual premium change in 17 years. At 3.95 per cent, it's far lower than every year under the Rudd and Gillard governments. But we must continue to drive better value policies for every Australian. Private health insurance is an essential and valuable part of the Australia’s health system. From Sunday (April 1) people with hospital insurance that does not offer full cover for mental health treatment will be able to upgrade their cover and access mental health services without a waiting period on a one-off basis. This will significantly enhance the value of private health insurance. We are encouraging younger Australians to take up private health insurance by allowing insurers to discount hospital insurance premiums for 18 to 29 year olds by up to 10 per cent. The discount will phase out after people turn 40. This is a key element of the legislation introduced today. The reforms brought before Parliament today also include more support for Australians in regional and rural areas, allowing insurers to offer travel and accommodation benefits for people in regional and rural areas that need to travel for treatment. We are also investing around $6.4 billion every year in the private health insurance rebate to help keep premiums affordable. This is in stark contrast to Labor’s plan to reduce policy choices and increase premiums by around 16 per cent – making it unaffordable for many Australian families. Labor’s policies would also lead to higher out of pocket costs and longer waiting times. Last time Labor were in government they increased private health by over 5.5% per year over their entire 6 years and also broke their own promise and cut the rebate. The Turnbull Government is committed to the more than 13 million Australians that have private health insurance and it is vital that cover is affordable and provides value for money. There are 37 private health insurance funds operating in Australia and I encourage consumers to shop around to get the best deal for themselves and their families. The Turnbull Government today declared the March 2018 Tathra bushfires (Bega Valley Shire of New South Wales) a disaster for the purposes of establishing Australian disaster relief funds. Following a request for help to the Prime Minister from Senator Jim Molan and the Mayor of Bega Valley, Kristy McBain, the Government has acted swiftly to allow new funds and qualifying existing funds established for the relief of people affected by the Tathra fires to receive tax deductible donations. Tathra has suffered devastating property loss and damage. A large clean-up operation will be required to help the residents rebuild their community. The Turnbull Government is determined to help. Funds will need to apply for formal endorsement. The Australian Charities and Not-for-profits Commission and the Australian Taxation Office are available to assist funds with this process. Donations to Australian disaster relief funds established to provide relief in the aftermath of the 2018 Tathra bushfires will be tax deductible for a period of two years from 18 March 2018. Further information on establishing an Australian disaster relief fund is available at www.ato.gov.au or by calling 1300 130 248. Greatest Show On Earth. Australian Diary 6. Made by The National Film Board 1947. Directed by Jack S Allan. A visit to Sydney's 1947 Royal Easter Show. A loveable koala with fur the colour of the ocean and a passion for surfing and adventure was announced as the mascot for the Gold Coast 2018 Commonwealth Games™ (GC2018). Borobi—which means 'koala' in the language of the Gold Coast’s Yugambeh people—will play a key role in welcoming the athletes of the world and bringing to life the true spirit of the Games. Surprisingly, it is the first time a koala has been chosen as the mascot of a major Australian multisport event. Inspired by a drawing by Brisbane school teacher Merrilyn Krohn, the winner of the GC2018 Mascot Design Competition, Borobi’s outgoing personality will invite the world to Share the Dream™ of GC2018. From the 4th to 15th of April, history will be made on the Gold Coast.